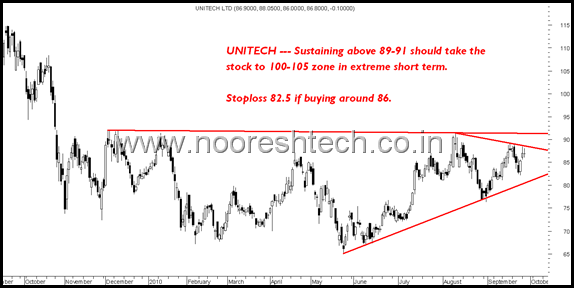 TECHNICAL CHARTS – Mundra Port, Unitech, Glenmark Pharma, Easun Reyrolle and Western India Shipyard. Just a few technical charts which look interesting in near term. 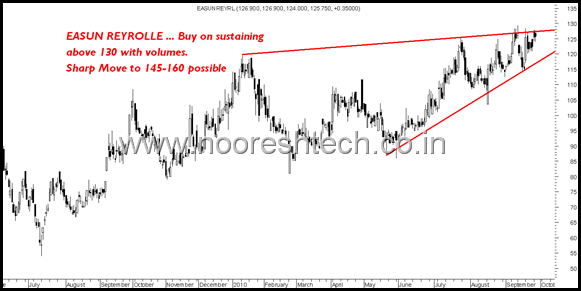 The stock has given a breakout and is all set for 185 levels in extreme short term. Disclosure : Recommended at 166-170 to clients. Nice breakout seen with decent volumes. Expect a move to 350 in short term. Disclosure: Recommended to clients at 302-305 today. An excellent bet for long term investors on fundamental basis. 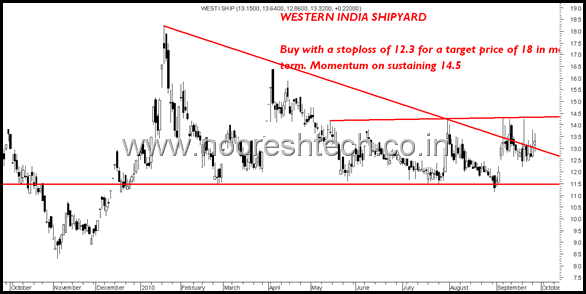 Technically could see a very sharp move if crosses 130 with volumes. Investors can keep on radar to accumulate on dips and traders wait for 130. A speculative pick as its pretty volatile. One can expect the stock to touch 18 over the next 1-3 months. Buy with a stoploss 12.3. Momentum could be seen on crossing 14.5 with volumes. 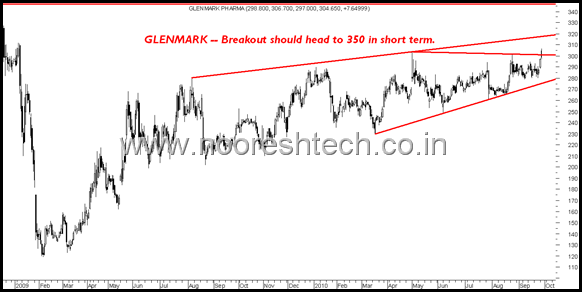 Hi Nooresh, any sl suggested for Glenmark? jmc in the next 3 months, modison metals and hikal? DCB long term 75+ short term is good. 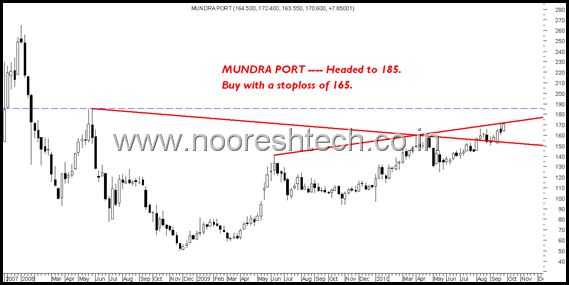 Mundra is trading at 163.5, can we buy it or you have stopped out. MUNDRA SL IS CLOSING BASE? 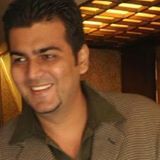 have recently started following your site and had profited from HUL and NTPC call. Sir i am myself interested in learning Technicals, and would be thankfull if you could suggest what book or which other resource i could read to learn more. I would also love to attend one of your seminars whenever they happen in Delhi. Today i looked at the charts of HCL Info, sir does it qualify as an head and shoulder pattern or not. Also i have position in Hindalco and HPCL, and i would be greatfull to you if you could suggst how do they look on the charts.